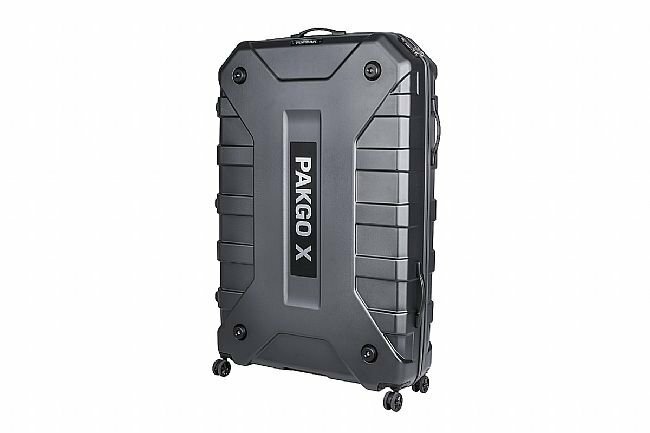 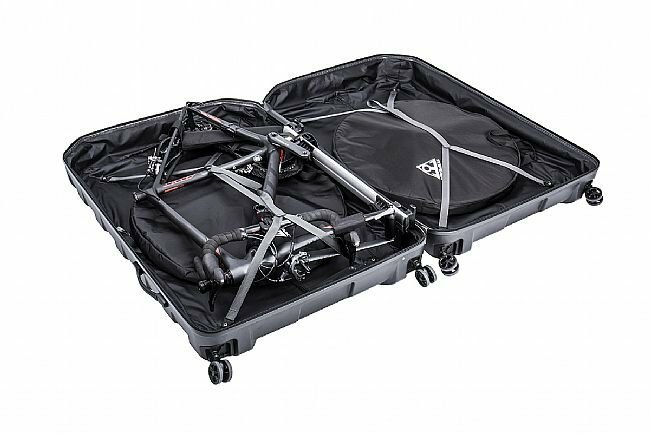 The Topeak PakGo X Bike Travel Case makes for an easy to pack/unpack bike transport system featuring high-impact strength, lightweight and flexible, Makrolon polycarbonate shells reinforced with an aluminum mounting system. 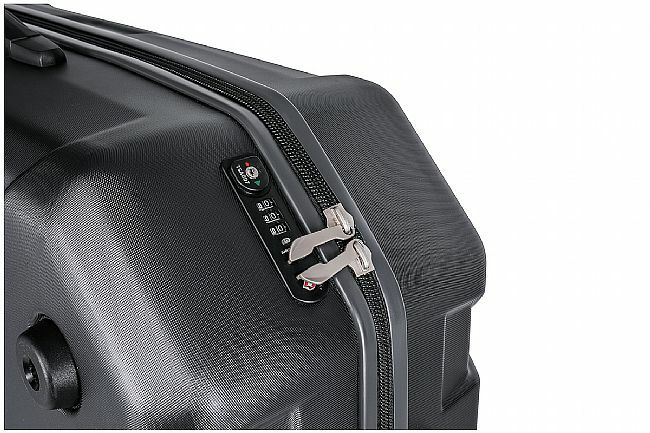 The upright case design with four large ø60mm multi-directional wheels allows luggage-like ease when rolling and includes a built-in TSA lock and carry handles for secure and easy transport. 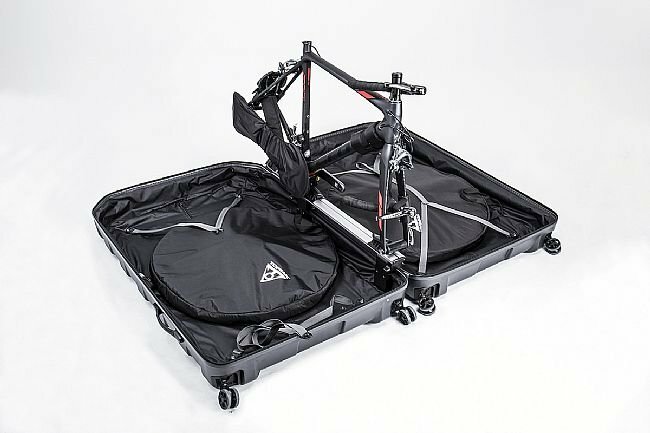 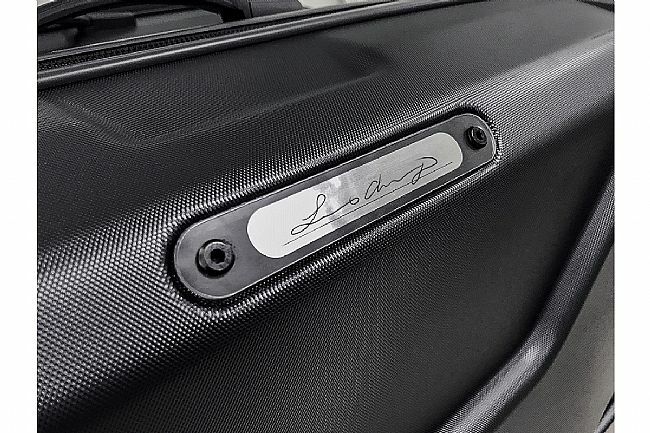 Two wheel bags, protective sleeves, and drivetrain cover provide protection against scratches and grease stains, and inner pockets help keep your gear organized all the way to your final destination. 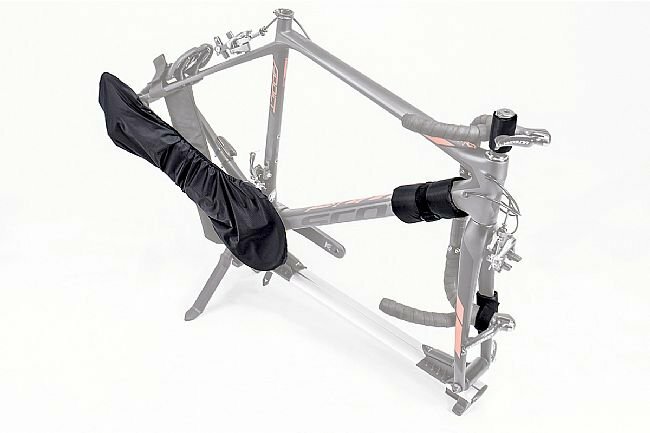 When you arrive, the mounting system extends as a mini work stand to hold your frameset steady and allow re-assembly and fine tuning.